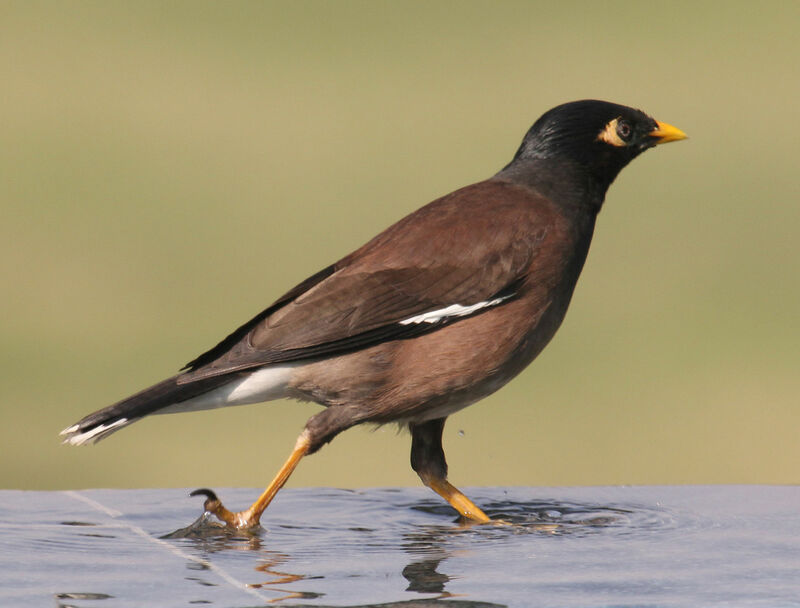 Brief summary of the paper: We describe a community-run effort to cull Common Myna (Acridotheres tristis) in Melbourne undertaken with modest funding (overall: $30.14 per trap day, $5.17 per euthanized Common Myna). Trap success (overall, 0.04 birds per trap per day) peaked early in the effort and slowly declined. Trap specificity was high (83.8%) and similar between bait types. Dry cat food captured more Common Myna, and a similar assemblage of animals, to dry dog food. Bread baits captured a broader assemblage of animals. The community-led trapping programme reduced the mean density of Common Myna and achieved high target specificity with relatively few unintended trap deaths. While long-term impacts on the population of Common Myna or native birds are yet to be analysed, the results suggest that ongoing effort is required for population suppression.